Bad credit is incredibly destructive. With bad credit, there’s little hope: it severely impacts every aspect of your life, making it harder to get a car loan, a mortgage, and a quality credit card. If you’re suffering the hefty consequences that can come with bad credit, there’s hope ahead. Just because your credit has suffered some difficult days doesn’t mean you should continue to struggle. A blemished credit history doesn’t have to bar you from obtaining a good credit card with a sensible credit limit. With the right knowledge of the available options, you can pick a credit card that will help you get back on the path to healthy credit. Some credit card providers offer subprime credit cards with features that allow you to build your creditworthiness. If you make all of your payments on time with one of these particular cards and work to keep your balance low, you can use subprime cards to rebuild your credit score. Your new and improved history will alert lenders to your financial competence and how thorough you are about repaying your debts. Here’s what you need to know about switching to a subprime credit card, and which options offer the best benefits. Secured credit cards, which give you full control of your credit limit–as long as you deposit the credit line you want to have with the issuing bank. This means that instead of relying on a line of credit, you’re spending your own money each time you use the card. You’re essentially acting as your own credit card issuer in that your deposits “secure” your credit limit. 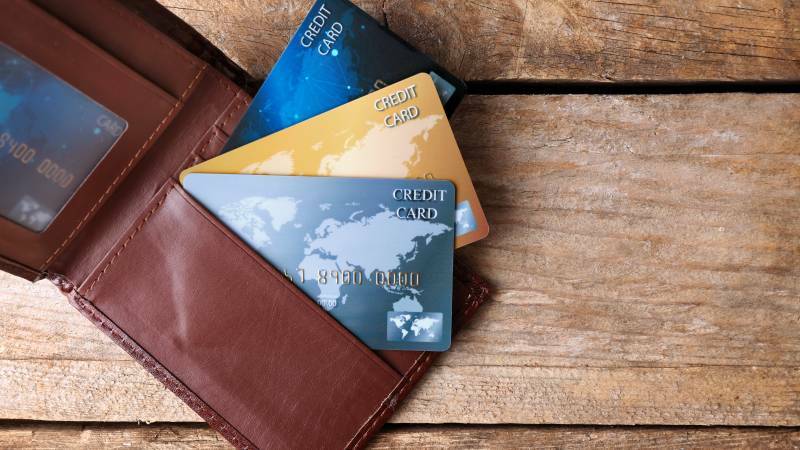 Typically used by those with bad credit or young people with little or no credit history, these credit cards are a perfect way to show off your financial stability. Once your credit is healthy, or you’ve built up a bit of a credit history, you can close the account and your “down payment” money will be refunded. Unsecured credit cards build trustworthiness for their users. This type of account is usually only approved for people with a higher credit score and longer credit histories. The credit card is set with a credit limit, for example $5,000, and you can only make purchases up to that limit. This is the bank’s money that they are allowing you shop and spend with–and as a result, you will be hit with interest fees to pay the bank back for the funds you’ve spent. This enhances your credit rating even more, as the issuer has obtained a full trust in your creditworthiness and ability to repay. If your credit health and history need some attention, you’ll want to choose a secured credit card. You will most likely be turned down by unsecured credit cards. Capital One offers a secured MasterCard for those with bad credit. This card lets you take control of your finances and build your credit by developing proper and responsible credit card use. There’s no annual fee and the purchase rate is a variable APR of 24.99%. This card also provides you with a higher credit line: if you pay your first five monthly bills on time, you’ll be granted more credit without having to make any additional deposits. Established in 1948, Fingerhut is a company dedicated to helping people with poor credit get an unsecured card through a Fingerhut Credit Account. This unsecured card offers better flexibility through partnerships with top brands including Samsung, DeWalt, and KitchenAid. The Fingerhut credit card application is fast and easy; you just need to get approved by WeBank. Unlike the other cards on this list, though, your Fingerhut credit line is restricted. The funds can only be used to purchase products from the Fingerhut inventory of products, which range from apparel to appliances to home furnishings. Discover helps individuals build or rebuild their credit with conscious and responsible financial management. They offer a secured credit card which acts like a standard credit card. The “It” card requires a security deposit, which will match your credit limit, and offers a 2% cash back reward for purchases at selected gas stations and restaurants. It has no annual fee and an APR of 23.49%. After establishing a good payment history, you may be eligible to upgrade to an unsecured Discover account. First Bankcard offers a good introductory credit card for people with poor credit scores. The Platinum Edition Visa Card has several great features including a 0% introductory APR for the first 15 billing cycles and a 0% annual fee. It does not have APR penalties for missed payments, and you can view your FICO credit score once a month to check your creditworthiness as you stay consistent and improve. Be sure that, when you opt to use credit cards to improve your credit, you make all of your payments on time. Otherwise, you’ll find yourself even further down in the bad credit hole. Start a search for more credit cards and different options that can help you build your credit history.